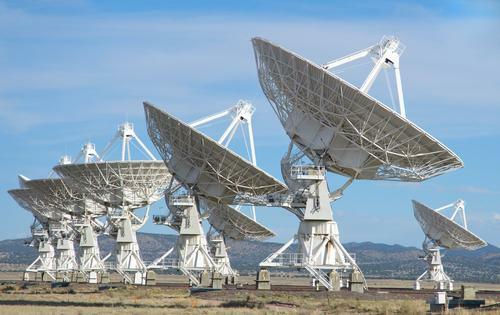 In what could be called a case of serious repurposing – beating swords into plowshares and so forth – or something out of science-fiction, a crowdfunded project has sought to turn a Cold War era dish into a deep-space communications array. This array will send messages to that’s relatively near to us, and potentially inhabited. And assuming anything sufficiently advanced lives there, we could be talking to them soon enough. 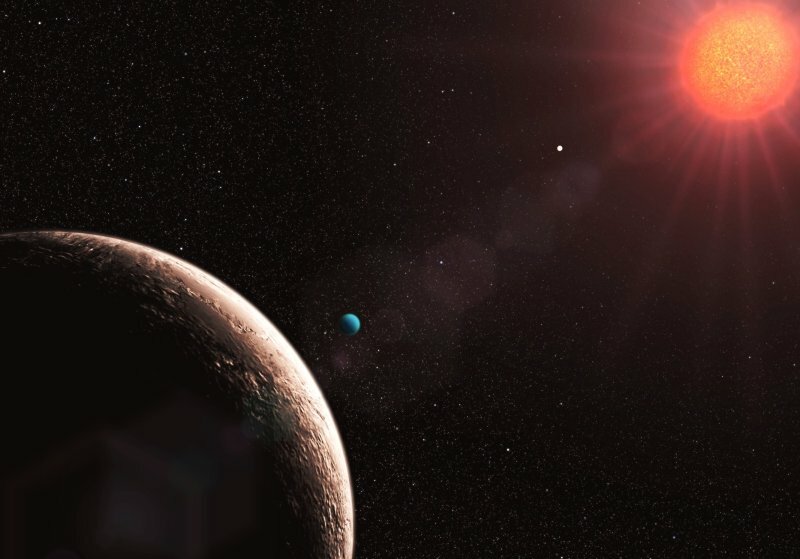 The project is known as Lone Signal, a crowdfunded effort to send a continuous stream of messages to the folks at Gliese 526, a red dwarf star 17.6 light-years away in the constellation of Bootes (aka Wolf 498). 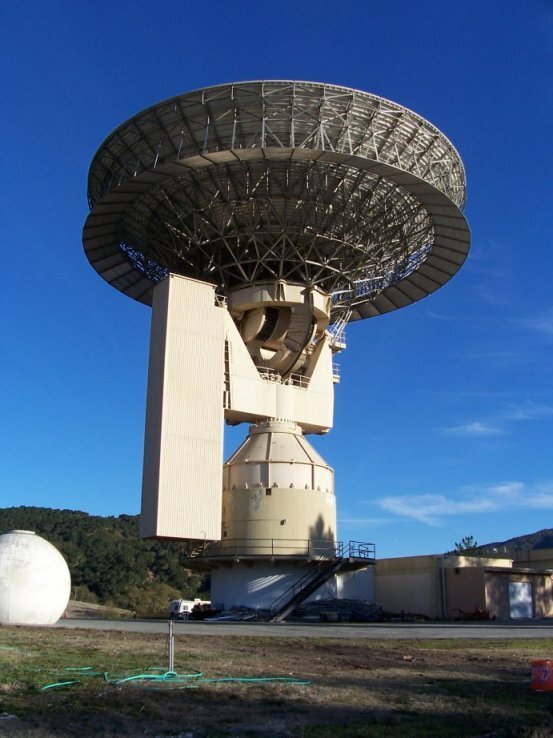 And the dish with which they intend to do this is known as the Jamesburg Earth Station, a nuke-proof satellite relay station in California that dates from the 1960s and even helped broadcast images of Neil Armstrong on the moon. Long Signal, it should be noted, is the brainchild of The Blue Marble Space Institute of Science, non-profit virtual research institute that networks scientists from across the globe and multiple disciplines for the purpose of expanding the boundaries of knowledge, science and astronomy and promoting an open dialogue on the subject of exploration and settlement.Towards this end, they arranged for a 30-year lease on the Cold War-era dish (for a cool $3 million) and set up a project that will allow participants who contribute money to send a personalized message into space. Ultimately, they plan to direct two beams at Gliese 526: a continuous wave with fundamental physics laws and basic information about Earth, and another consisting of crowdsourced greetings. The project is open to anyone and a series of initial short message (the equivalent of a 144-character tweet) will be available free of charge. Subsequent messages, images, and longer greetings, however, will cost money (about $1 for four texts) that will help the project fund itself. Our scientific goals are to discover sentient beings outside of our solar system. But an important part of this project is to get people to look beyond themselves and their differences by thinking about what they would say to a different civilization. Lone Signal will allow people to do that. Indeed. Nothing like the prospect of facing another life form, a potential space invader even, to make people forget about all their petty bickering! As our knowledge of the universe expands, we are becoming aware of the existence of more and more exoplanets. 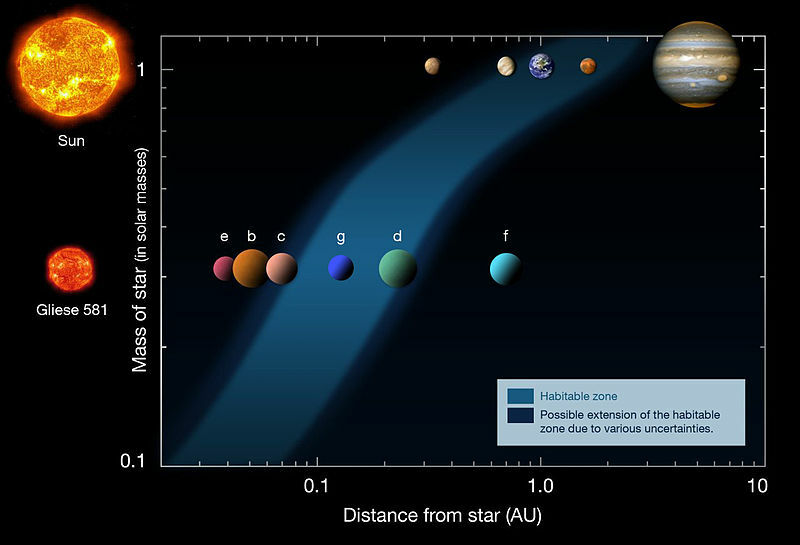 Many of these exist within the Habitable Zones of their parent star, which means two things. On the one hand, they may be candidates for potential settlement in the future. 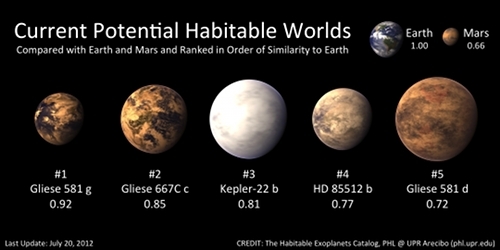 On the other, they may already be home to sentient life. If said life is sufficiently advanced, its entirely possible they could be looking back at us. For some time, the human race has been contemplating First Contact with potential extra-terrestrial life, which was the very purpose behind the creation of NASA’s SETI (Search for Extra-Terrestrial Intelligence) program in 1961. The Pioneer space probes were another attempt at making contact, both of which carried small metal plaques identifying their time and place of origin for the benefit of any other spacefarers that might find them in the distant future. 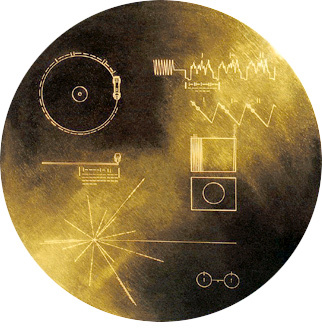 Following in that tradition, Voyager 1 and 2 space probes contained even more ambitious messages, otherwise known as the Golden Record. These phonograph records – two 12-inch gold-plated copper disks – contained both sounds and images selected to portray the diversity of life and culture on Earth that would give any civilization that found them a good idea of what the people of Earth were capable of. The contents of the records were selected for NASA by a committee chaired by Carl Sagan of Cornell University, and consisted of 115 images and a variety of natural sounds – surf, wind, thunder, birds, whales, and other animals. To this they added musical selections from different cultures and eras, and spoken greetings from Earth-people in fifty-five languages, and printed messages from then-President Carter and U.N. Secretary General Waldheim. In this respect, Lone Signal represents the latest step in promoting contact and communication with other life forms. And in keeping with the trend of modern space exploration, it is being opened to the public via crowdfunding and personalized messages. But unlike SETI, which lost its government funding in 1995 and had to turn to private supporters, crowdfunded space exploration is something directly accessible by all citizens, not just corporate financiers. What he means by this is that by the time the message is recieved – roughly 18 years from now, assuming it ever is – humanity is likely to have taken the first steps towards merging our brains with computers via biotech, artificial intelligence, or other means of computer-assisted brain augmentation. At least, that’s what guys like Kurzweil hope for. Other “alpha beamers” — including Dan Aykroyd, Alicia Keys, and Jason Silva — also sent beams Monday night. And for the time being, anyone can send a “crowdsourced” 144-character beam and pic. Better get on it before they start charging. If texting and phone rates are any indication, the price is likely to go up as the plan improves!